This antibody gave a positive result in IHC in the following FFPE tissue: Human normal liver. This antibody gave a positive result when used in the following formaldehyde fixed cell lines: HepG2. Our Abpromise guarantee covers the use of ab79929 in the following tested applications. EIA/RIA: Use at a concentration of 5 µg/ml. WB: Use at an assay dependent dilution. Predicted molecular weight: 55 kDa. Plasma; synthesized in the liver. Defects in F10 are the cause of factor X deficiency (FA10D) [MIM:227600]. A hemorrhagic disease with variable presentation. Affected individuals can manifest prolonged nasal and mucosal hemorrhage, menorrhagia, hematuria, and occasionally hemarthrosis. Some patients do not have clinical bleeding diathesis. Belongs to the peptidase S1 family. Contains 1 Gla (gamma-carboxy-glutamate) domain. Contains 1 peptidase S1 domain. The vitamin K-dependent, enzymatic carboxylation of some glutamate residues allows the modified protein to bind calcium. The activation peptide is cleaved by factor IXa (in the intrinsic pathway), or by factor VIIa (in the extrinsic pathway). The iron and 2-oxoglutarate dependent 3-hydroxylation of aspartate and asparagine is (R) stereospecific within EGF domains. ICC/IF image of ab79929 stained HepG2 cells. The cells were 4% formaldehyde fixed (10 min) and then incubated in 1%BSA / 10% normal goat serum / 0.3M glycine in 0.1% PBS-Tween for 1h to permeabilise the cells and block non-specific protein-protein interactions. 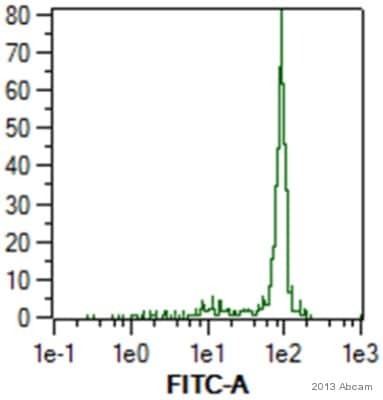 The cells were then incubated with the antibody ab79929 at 5µg/ml overnight at +4°C. The secondary antibody (green) was DyLight® 488 goat anti- rabbit (ab96899) IgG (H+L) used at a 1/250 dilution for 1h. Alexa Fluor® 594 WGA was used to label plasma membranes (red) at a 1/200 dilution for 1h. DAPI was used to stain the cell nuclei (blue) at a concentration of 1.43µM. IHC image of Factor X staining in Human normal liver formalin fixed paraffin embedded tissue section, performed on a Leica Bond™ system using the standard protocol F. The section was pre-treated using heat mediated antigen retrieval with sodium citrate buffer (pH6, epitope retrieval solution 1) for 20 mins. The section was then incubated with ab79929, 1µg/ml, for 15 mins at room temperature and detected using an HRP conjugated compact polymer system. DAB was used as the chromogen. The section was then counterstained with haematoxylin and mounted with DPX. ab79929 has not yet been referenced specifically in any publications. Publishing research using ab79929? Please let us know so that we can cite the reference in this datasheet.